Yes, it can obviously get wet without being damaged immediately. It is not only ideal for divers, surfers and swimmers, it can also be used by people who do basic household chores like washing dishes, doing the laundry, or even during workouts using a r﻿﻿owing machine. Isn’t it nice to do anything you want without being worried about getting your jewelry damaged simply because of its sturdiness? Indeed, it is nice to own a water-resistant watch! Let us help you find the best waterproof watch for you. We have done our thorough research to assess different watches features and sturdiness. Here are our top picks this 2016! If you want to assess your body's performance, the HeHa Qi is a must-have! You will surely love its modern fitness tracker that records your burned calories, heart rate, and more. Perfect for fitness active individuals who would like to track their progress during their exercises. 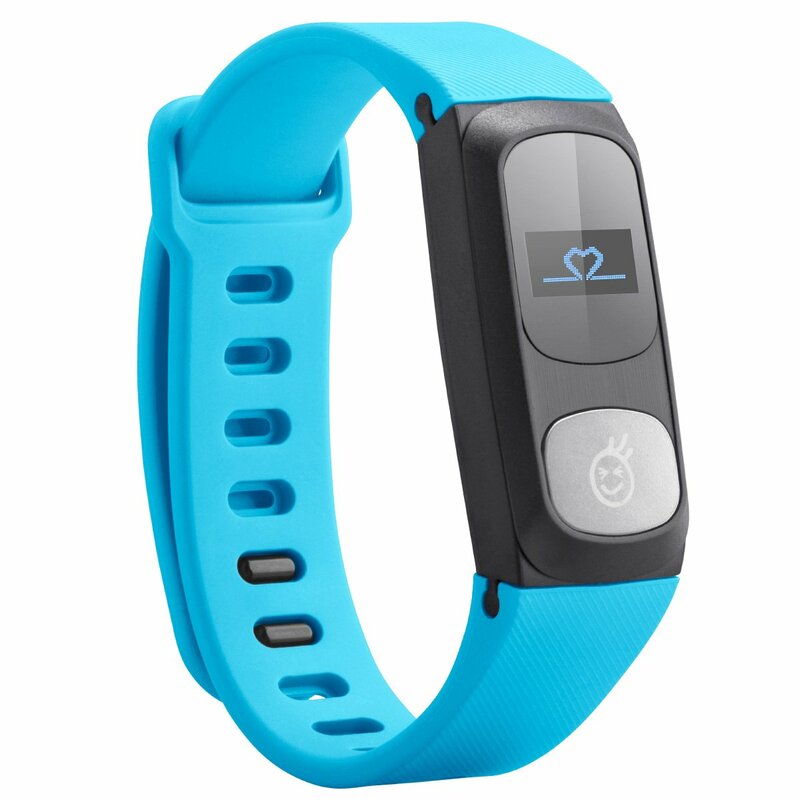 It shows your heart rate, burned calories, number of steps, stroke, exercise time and energy consumption. Has a LED display to help you see your results clearly. The housing is water-resistant and scratch-proof, you are guaranteed that it will last a long time. Breathable and comfortable wrist band that has 10 holes to ensure that it fits almost all wrist sizes. One charging time can last standby for 30 days, you won't be worried about recharging its battery every now and then to avoid issues in the long run. You can connect your mobile phone, whether iOS or Android, using Bluetooth or its downloadable application, to track your historical data. The HeHa Qi is ideal for fitness enthusiasts who would like to track their progress doing exercises or even water activities. It is fairly-priced, therefore, if you are on a budget, this water-resistant watch will work well on you. It can also be charged quickly, you won't have to wait long hours. Synchronizing it with your gadget can be a bit troublesome especially that there are some error messages displayed in Chinese. If you do not understand the language, you might need to ask help from someone who does. The HeHa Qi is definitely ideal for people who are health conscious. Tracking progress can now be done smoothly and this waterproof fitness tracker can help you get physically, emotionally and psychologically encouraged. If you love to swim or snorkel, this Casio PAG-240-1CR is your best mate, as its water resistant level is up to 100m or about 330 ft.
Several features which include digital compass, altimeter, barometer, thermometer, low-temperature resistance (-10 C/14 F). Can be adjusted according to your timezone and city. Battery life lasts for over 6 months, without being exposed to too much light. It also has a battery indicator to help you know when to visit your trusted replacement shop. Quartz-movement with digital display, following 12/24-hour formats. Water resistant to 100 m (330 ft), making it ideal for snorkeling and swimming. Whether you are wearing your business or sports attire, this PAG240-1CR can accentuate your look. Since it simultaneously displays different timezones, traveling can be done smoothly without the need to thoroughly adjust your time. If you are not a fan of big bulky watches, you might want to consider other water-resistant watches on our list. You just have to be careful using it underwater as it's not ideal for scuba diving. You might damage it if you go beyond the suggested resistance level. Casio is known for its affordable yet perfectly working watches. If you can extend your budget a little bit more, then you must get this PAG240-1CR. Its technological capabilities are the reasons why we have included it on our list of must-have water-resistant watches! If you are a fan of Japanese quartz movements, here's the best option for you. The classy and sturdy designed Nautica N14536 watch can be worn anywhere you want. Multiple features which include digital compass, altimeter, barometer, thermometer, low-temperature resistance (-10 C/14 F). Protected with defending crystal dial casement to ensure that it will last for years. Chronograph Movement Black Dial which helps in seeing the time clearly. Comfortable to wear Black Polyurethane Strap with logo and buckle closure. The Nautica N14536 can withstand cold temperature for up to 14F. So apart from swimming and snorkeling, skiing can also be done smoothly while wearing your watch. The polyurethane strap is also comfortable to use, it won't irritate your wrists easily. It doesn't have shock resistance so you have to be very careful when you take it off. It also doesn't have a night mode which makes it hard to check the time when you are in a dark area. The Nautica N14536 is a beautiful men's sports watch highly recommended for people who would like to get a durable and casual watch without leaving their wallets empty. Its water resistance is up to 100m yet it's offered at less than $100. The Suunto core uses altimeter which is proven more reliable than GPS. The battery also lasts for more than a year, you won't be bothered about changing it every now and then. Highly accurate watch perfect for hikers and skiers who are always on the go. It uses a CR2032 battery, like other typical watches, therefore, you are guaranteed that it will last for a year or so. Forget GPS, the Suunto Core has altimeter which determines based on the measurement of atmospheric pressure. Suunto Core's central Alti & Baro tab immediately informs you about the sudden drop of air pressure. Water-resistance level up to 30m. The Suunto Core records your progress 24/7 using their designated application on your mobile phone. The record is presented through graph so you can see where you need to improve. The only downside that we noticed about the Core is that the watch is a bit dim so it is a bit hard to check the time when you are in the dark. It's also the priciest among the other brands that we have featured, yet it doesn't have a feature that really stands out among the rest. The Suunto Core is a bit pricey in spite of its low water-resistance so if you need to have a watch that can be used in your favorite water sport, you might want to check the other watches we have reviewed on this post. However, if you just need to track your progress while having an exercise using your elliptical machine, it will surely work well on you. If you are into serious diving, the Stuhrling Aquadiver is your best option. You don't have to spend a lot of money just to be able to get a sturdy water-resistant watch because it is roughly priced under $100. Blue dial with luminous markers that will help you see the time even if you are in the dark. Krysterna crystal that serves as an added protection when you dive. The back side case is bedecked to prevent water from getting inside. It's also available in different colors: red, blue, green and orange! Japanese quartz movements with analog display. Made of a solid bracelet-style strap with an easy clasp with push button. It also comes with extra links in case you have a big wrist. Water-resistance level up to 200m which makes it ideal for scuba diving. The Stuhrling Aquadiver has Krysterna crystal that ensures your watch won't acquire water within especially when diving. The level of water resistance is at 200m, therefore, it can be used for up to 660 ft. The price made it so perfect, you won't have to spend a lot of money just to be able to enjoy the beauty of underwater. Upon checking, the color around the dial wears off after using it for several months, especially when exposed underwater for several times. The band can also be easily scratched so you have to be very careful when using it if you want to maintain its aesthetic beauty. The Stuhrling Aquadiver is the ultimate "value buy" among all the aforementioned watch models. The craftmanship, style and quality can surpass other renowned brands without having to shell out a lot of money. How to Choose the Right Water Resistant Watch? Not because it has a “water-resistant” label, it can already withstand all the activities that you have. The resistance depends on the design and the structure, therefore, you have to thoroughly check what it can handle. Basically, you have to understand that you need to know all these capacities so that you will be more mindful about your watch’s capacity. Ideally, it is best to get a watch that has an extended resistance level in order for you to take advantage of its features more than what you typically do. Please take note, although these were tested according to different water depths, you also need to make sure not to prolong the pressure as it can inflict damage to your watch. Watches have different features so you have to assess whether these match your needs and preferences. If you are always on the go, make sure your chosen watch has altimeter or GPS. If you want to keep track of your fitness progress, it must show your heart rate, calories burned and the number of hours you have spent on your activity. It would be best if it offers a fitness application so that you can track the areas that need to be improved. Last but not the least, a barometer may come handy so that you can see the weather condition. Never forget about the warranty. Preferably not less than 1 year, a warranty can protect you if your watch didn't function well as expected. A water-resistant watch is a good investment but there are some guidelines that you have to follow in order for you to make sure that it will last for years. If any of these guidelines is missed, it could lead to an expensive repair, or worse, you might have to buy a new one. Keep it clean at all times. Use a damp cloth or a special wax for watches and clean all areas, especially the clasp and the bracelet. Do not use it beyond its allowable level of water resistance because you will end up having a damaged watch. Avoid magnets as it affects the timekeeping of your watch. Take care of the crystal especially if it is scratch-proof. Avoid banging it on the wall or any hard surface. Do not throw the box so that you can use it as a storage in case you are not using your watch. Never open your watch. If you see that it is not working well, it is best to visit a trusted mechanic immediately. It is also ideal to have it serviced every two to three years. You have to take note that not all expensive watches can give you the performance that you need. Thoroughly assess the features and quality before you decide which will work best on you. Water-resistant watches are not the same, therefore, understanding its full capability can help you acquire the best one that you can use for years.